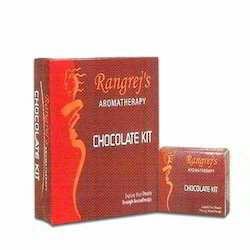 With the hep of our dexterous professionals, we have been able to offer the clients a wide range of Chocolate Facial Kit. Used in various cosmetic and health care industries, our offered range is high in demand for its potentiality to effective glow to our skin. Our offered range includes cleansers, scrubs, creams and gels, which are offered in various sizes packing as pert the requirements of our clients.